At Mid-Michigan Kennels, we get it right matching you up with the right dog every time. We do not keep 75 to 100 dogs kenneled at our facility for you to choose from. In most cases, new handlers have no idea of what to look for and how to test a dog. We believe that based on our 23 plus years of training experience that we know how to test, select and match you up with the very best K9 partner possible. We travel to Eastern Europe 3-4 times each year to test and select dogs for police and military contracts. As the Owner and Master Trainer of Mid-Michigan Kennels, I actually handled a dual purpose police dog on the streets as a sworn officer. I believe that this actual police K9 experience is why we are able to select the best dogs for our clients. Any police K9 vendor that has never even been a peace officer can not draw on these experiences to use when testing a dog to sell you for use on the streets. At Mid-Michigan Kennels, we believe that you can have a very social dog that will get results on the streets. We believe this so much that it is our tag line in marketing. “Strong Social Dogs that get results.” Too many police K9 providers think your dog must have an edgy or crappy temperament in order to be an effective patrol dog. I say this is completely false. A dog with an edgy or crappy temperament will bite, this is true. The problem is that dog can not be trusted to be around school children or an officer’s family. We believe that a dog with a good sound temperament AND good prey, defense, and fight drives that is properly trained, is just as effective as a patrol K9 as the dog with the edgy or crappy temperament. To us the difference is that you can trust our dogs around the public and your families. 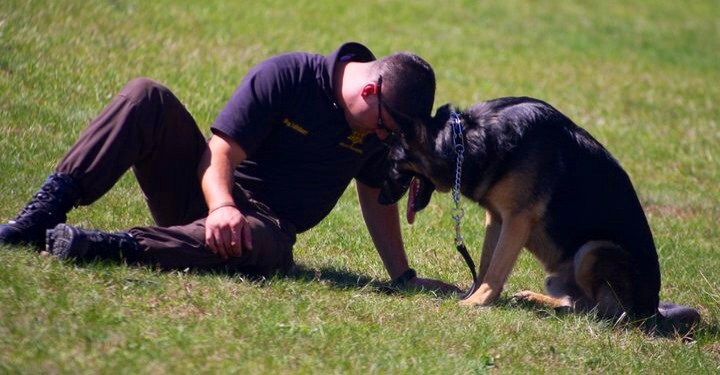 When you contract with Mid-Michigan Kennels for your next police K9, we will spend time getting to know your community, your handler, and what breed and gender you want. Once we have this completed, we can then set out to find the exact dog to fill your request. We can not always promise color but everything aforementioned can be found. In over 22 years of training police canines and over 500 plus dogs and handlers trained, we have only had one client not like the dog we selected for him and once he identified this we replaced the dog right away, no questions asked.